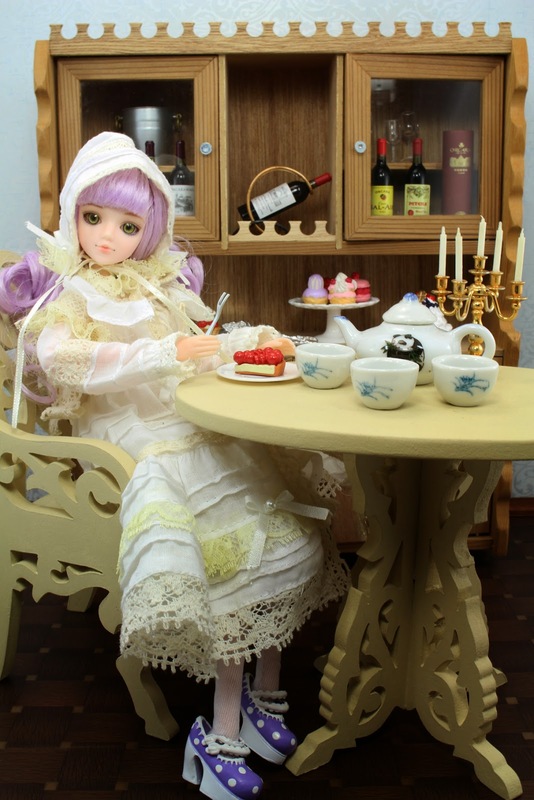 Miniature Monday #45: More Tea Please! 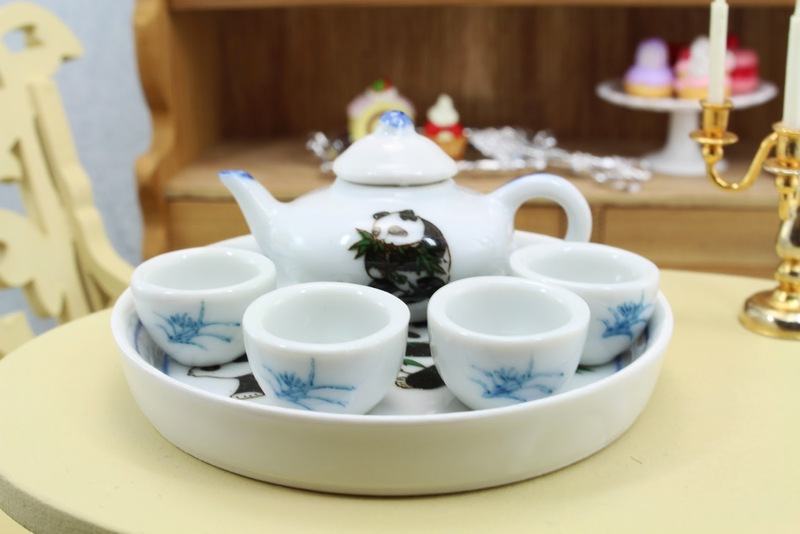 I found this miniature porcelain tea set at Pacific Mall last Saturday. It is very similar to the one my aunt gave me as a child that I still own today, featured HERE. Instead of embossed detailing though, this one has a printed panda design. Super cute. And it only cost me two dollars! For all of its nostalgic elements, it was worth every penny. As with my childhood tea set, this one's slightly off scale to barbie-sized dolls. Yet, it displays nicely in a diorama setting. Nothing beats classic simple toys like this one. It provided me hours of imaginative play as a child....which I don't think I ever outgrew. 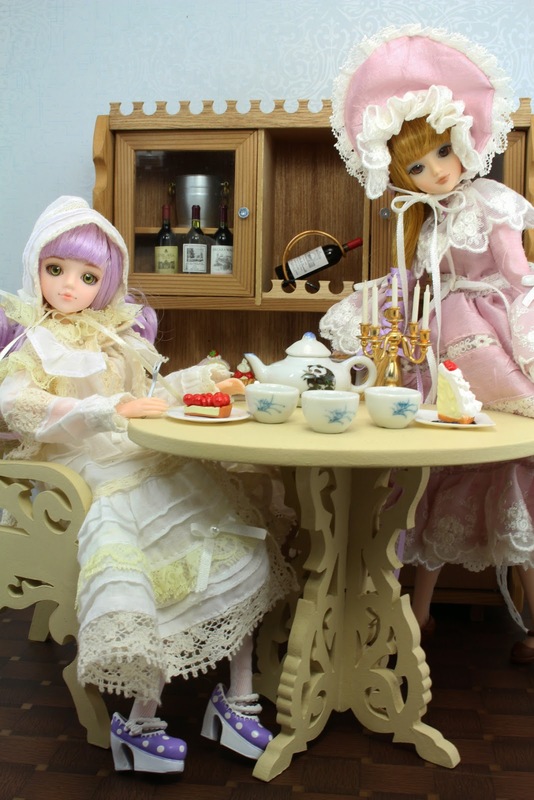 Just look at how much Artemis and Thalia are enjoying tea time. They're discussing how much fun Valentine's day is when you're celebrating without boys. See, imaginative play! It's so cute with the little panda on it!! Piękne lalki i wspaniałe, miniaturowe dekoracje i wyposażenia wnętrz! Pozdrawiam serdecznie!